About the B'nai Bagels was first published in 1969, on the heels of Jennifer, Hecate, Macbeth, William McKinley, and Me, Elizabeth, and From the Mixed-Up Files of Mrs. Basil E. Frankweiler, which won a 1968 Newbery honor and the 1968 Newbery medal respectively. It had a couple of tough acts to follow, but overall, I think it rose to the occasion. Mark Setzer is twelve years old. He's coping with the loss of his best friend who has recently moved to a richer part of town and made a snobby new friend, while also preparing for his bar mitzvah, and trying to get out of the shadow of his over-achieving older brother, Spencer. On top of that, his mother has volunteered to manage his little league team. When Mark becomes aware of some information that could jeopardize the team's success and undermine all his mother's work, he wonders whether he should tell, or keep it to himself. What he decides, in the end, results in a coming of age experience that puts Mark firmly on the path to adulthood. The language in the book now seems quite dated, but I actually enjoyed that aspect of it. 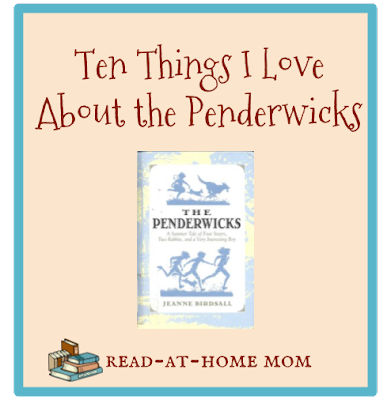 I think it might bother a contemporary young reader, but as an adult, I've become interested in some of the older, forgotten children's books, and I enjoyed being immersed in the style and context of another time period. I also enjoyed Mark's wry observations about his family life, his interactions with other boys on his team, and in his neighborhood, his struggle to hang onto aspects of his lost friendship, and most of all, the humorous and realistic dialogue Konigsburg writes for the Setzer family. I think adults who enjoy children's literature, and like to look back as well as forward, should definitely read this book. Kids, though, will be harder to sell on it, unless they really like realistic fiction,or have an interest in what day to day life was like in the late 1960s. There's not even really enough actual baseball action in this book to make it appeal to baseball fans. There will be the rare kid, though, who will read this and love it, and whoever that kid is, I hope he stops by my desk in the library to talk about it when he's done. Arthur's Nose, the first book in Marc Brown's Arthur series, was published in 1976. The Arthur appearing in that story was very obviously an aardvark, with a long, drooping nose and a droopy disposition to match. 35 years later, Arthur is someone else entirely - a noseless, bespectacled, everykid who resembles neither an aardvark nor any other actual creature, but who has a much more agreeable personality, and can be trusted to guide kids through the many difficulties associated with growing up. I hadn't read any Arthur books in a long time - probably not since long before the series became a television show - so I decided to read one title from each of the three series my library has on its shelves. I started with a picture book, and read Arthur's First Sleepover, which is the 20th Arthur adventure and was originally published in September 1996. It was also adapted as part of Episode 30 in Season 1 of the television show, which first aired on June 2, 1997. Arthur invites his friends Buster and the Brain to sleep over in the tent in his backyard. The morning before the sleepover, Arthur's father is reading "The National Requirer" at breakfast. One of the articles in the tabloid is about spaceships. Always ready to torture her brother, DW starts trying to convince the boys that aliens will disturb their sleepover. When night falls, and the boys settle into their tent, DW even tries to scare them by making alien lights with her flashlight. They are frightened only momentarily; then they recover and exact their revenge using a scary mask. In between all the alien talk, kids also get to see the fun of a sleepover, and enjoy the excitement of staying up late, even after the parents say it's time to sleep. The second book I read was an easy reader called Arthur's Hiccups, which was written by Janet Schulman, not Marc Brown, and published in 2001. The book includes a sheet of stickers for kids to use in telling their own Arthur stories. When Arthur develops the hiccups, everyone has a suggestion for getting rid of them. The Brain says that at least one person has died from hiccups in the past, and instructs Arthur to stand on his head until they go away. Buster thinks a good joke will take care of them, and Muffy and Francine recommend lollipops licked upside down. DW helps not at all by teasing her brother, but ultimately it is she who solves the problem by hiding under the bed and scaring Arthur. Unfortunately for her, she then ends up with hiccups herself. This is a perfect easy reader: it deals with a universal experience, has a definite structure, and comes full circle with a humorous ending. Finally, I tried an Arthur chapter book, the 10th, entitled Who's In Love with Arthur? which was written by Stephen Krensky and published in 1998. The book is based on an episode of the Arthur television show from Season 2, entitled "Arthur and the Square Dance," which originally aired on January 28, 1998. The students at Lakewood Elementary School are square dancing during gym class. After Francine and Arthur dance together, a rumor gets started that they are boyfriend and girlfriend. Suddenly, their usually friendly gestures are being misinterpreted by their friends, and attempts to set the record straight only add fuel to the fire. In the end, during the next square dance lesson, Francine and Arthur avoid each other like the plague, and when finally forced together, they both blurt out that they're not in love. The misunderstanding is cleared up, and they go back to being friends. It was interesting to read an Arthur book with so few illustrations - I actually found it somewhat difficult to imagine the characters without visual cues. And kids who read this would definitely need to be familiar with the characters because there is no character description or development whatsoever. Arthur doesn't really have a personality. He's kind of a stereotypical boy, who likes sports and playing outside and becomes overwhelmed by attention from girls. He goes through the usual milestones of childhood, and deals with a lot of familiar problems, but any child could easily insert himself or herself into the story in his place. I think that is why the books are so appealing. DW is pretty much a brat. I guess I always knew she was annoying, but she really never misses an opportunity to make life difficult for Arthur! I saw a review on Amazon that criticized Arthur's Hiccups for promoting bad sibling behavior. I didn't think it was quite that bad, but it does seem like Arthur is usually the good kid, and DW the troublemaker. Big brothers might feel that way, though, so it works within the context of the stories. The Arthur books have stuck around for a long time! The newest of these three books is ten years old, but they are still extremely popular in my library, and at least in the case of the illustrated books, impossible to keep on the shelves. You could share a history with a person, know their mom and their little brother and what kind of laundry detergent they used [...] but the second that person became a middle school cheerleader, forget it. It's like all that stuff never existed. I can't even count at this point the number of times I've been drawn to Frances O'Roark Dowell's books. I have handled them in libraries and bookstores quite a few times, but somehow always managed to brush them aside in favor of reading something newer, or something in a different genre. Finally, though, I pulled The Secret Language of Girls from the library shelf on my lunch break the other day, and I knew, when I read more than 100 pages in 45 minutes, that I was definitely a fan. The Secret Language of Girls is the story of a changing friendship as main characters Marylin and Kate enter middle school and begin to grow apart. As someone who went through the difficulties of such changes at the age of 11 and 12, I was both surprised and thrilled by how much of my own life seemed to be represented in the story. I was also touched, unexpectedly, when this book actually helped me to better understand the torment and trauma that I endured. I love that the book is written from multiple points of view. Not only do we hear from Kate and Marylin, who are both extremely sympathetic voices, but we also get more objective commentary on what's happening from Marylin's brother Petey, and her new friend, Flannery, as well as Kate's non-conformist dining companion, Paisley, and others of the girls' classmates. while it was somewhat predictable that the middle school cheerleaders would be at the top of the popularity food chain, the cliches in this book didn't bother me, because Dowell described everything so specifically, and in a style all her own. Especially realistic and powerful was the scene where Marylin and Flannery give Kate the silent treatment for no apparent reason. I remember the frustration associated with being ignored, and Dowell took me right back to the middle school classrooms where the same thing happened to me. She has a wonderful talent for making the universal feel personal, and vice versa. The sequel, The Kind of Friends We Used To Be, builds upon the framework established by the first book. Marylin and Kate are no longer sworn enemies, but their changing interests - Marylin's in student government and Kate's in songwriting - keep them from crossing paths as much as they once did. The cliches aren't as prevalent in the second book, and what struck me as the book's greatest strength was the inclusion of so many different kids, representing all the many cliques and special interests that emerge among early adolescents. Whereas Paisley, the non-conformist in the first book, might feel like she was plopped into the story to serve a specific purpose, and then yanked out again, the supporting characters in The Kind of Friends We Used To Be have more of their own stories to tell, and they don't necessarily prescribe neat little moral lessons on how to live. My only complaint about this second book is the author's continual use, both in dialogue, and narration of the phrases "all of the sudden" and "all the sudden." I know that these are now somewhat commonly used phrases, but to my knowledge, the only correct way to say it is "all of a sudden." Every single time I saw "all the sudden," I cringed and was pulled out of the action of the story. Overall, though, I think these books are both perfect middle school reads. I've been mentally comparing them to Judy Blume books like Blubber and Just As Long As We're Together, and I also think they would appeal to fans of Paula Danziger and Phyllis Reynolds Naylor's Alice series. 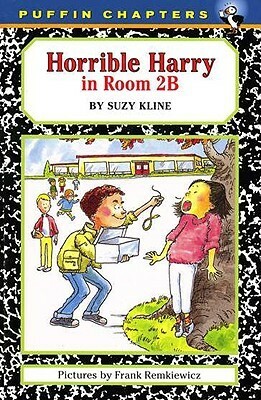 They'd also make an excellent (and better-written) recommendation for fans of Nancy Krulik's How I Survived Middle School series. Yes, this topic has been covered before, but I think it's always new to the kids living through it, and it's nice to have books set in the present day to recommend for today's kids.